Knorr-Bremse RailServices' Wolverton facility. Photo: Knorr-Bremse. Knorr-Bremse has agreed to sell its UK subsidiaries Knorr-Bremse RailServices and Kiepe Electric to German holding company Mutares. The deal is expected to be closed by the autumn with both businesses to be renamed in the process. 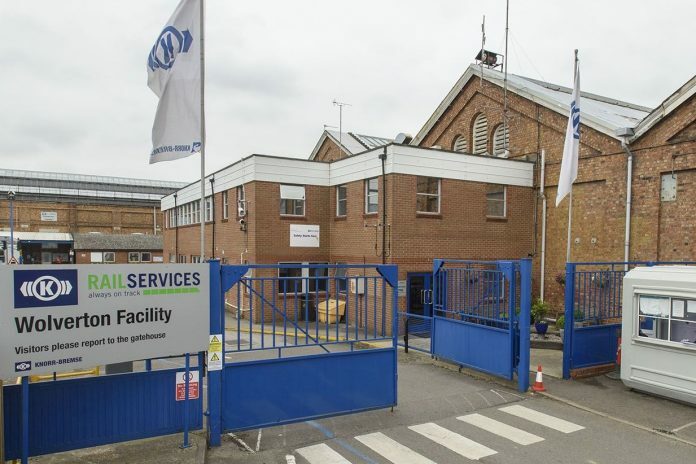 Knorr-Bremse said the move is down to a “strategic realignment” of its vehicle services business in the UK. Its focus will now be on its components and aftermarket business Knorr-Bremse Rail Systems in the country. Mutares is known for acquiring companies or divisions that are no longer part of the core business of a larger corporation, improving production efficiency, leveraging synergies and enabling growth. Under commercial collaboration agreements made with Knorr-Bremse, the businesses will be the preferred integration and installation partners of Knorr-Bremse. Knorr-Bremse said these agreements will ensure a “seamless transition period for employees and suppliers”. The takeover includes Knorr-Bremse RailServices sites in Wolverton and Springburn as well as the Kiepe Electric facilities in Birmingham. Knorr-Bremse RailServices specialises in vehicle overhaul and refurbishment as well as modernisation, upgrading, incident repairs and wheelset overhaul. At its two sites in Wolverton and Springburn, Knorr-Bremse RailServices employs around 600 members of staff. Kiepe Electric, part of the Knorr-Bremse Group since January 2017, is a globally active supplier of electrical systems to leading rail vehicle manufacturers. In the UK, it operates from Birmingham with a headcount of approximately 100.